My friend JD was working on a firepit project for a customer for Mothers Day and so I thought it would be interesting to film it. JD Brewer is a good friend of mine and is the owner of Apex Welding services in Douglasville GA. The first thing was to cut the 1/4" steel sheet to something that would fit on the plasmacam cnc plama table. JD's used a 6" Metabo grinder for this. He was in the process of a move and cutting torch or plasma was not an option. If you have never tried a metabo 6" angle grinder, it can be pretty darn intimidating....almost scary. But once you get used to the power, it is one of the most useful tools in the box. JD cut 48 inches of 1/4" steel in less than 5 minutes and with only one metabo slicer plus disc. Let me be clear on mentioning the brand Metabo. I dont have any type of endorsement or sponsorship or even any communication with Metabo. 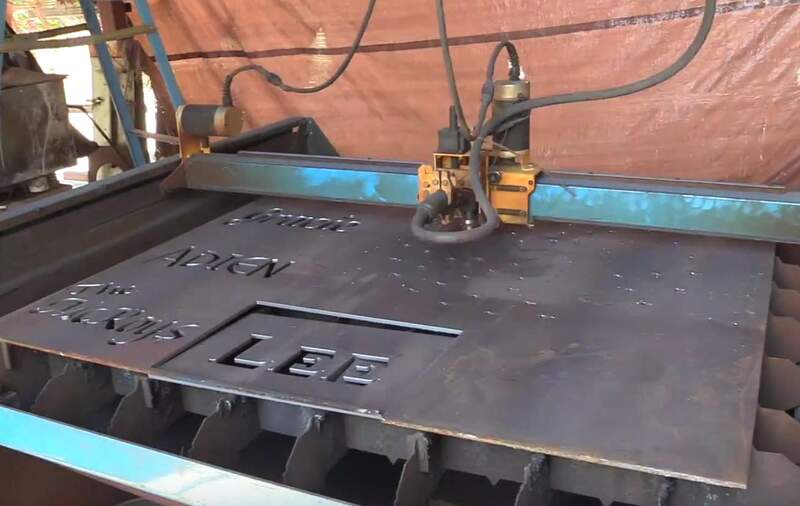 The thing is just a beast and JD uses it all the time for on site jobs as well as in the shop....often times instead of a plasma cutter or oxyfuel torch. The software that comes with the plamacam is called design edge. and its pretty easy to use for whipping out a quick project. Most of the stuff JD makes using the plasma cam is drawn on the spot withoput importing a drawing. 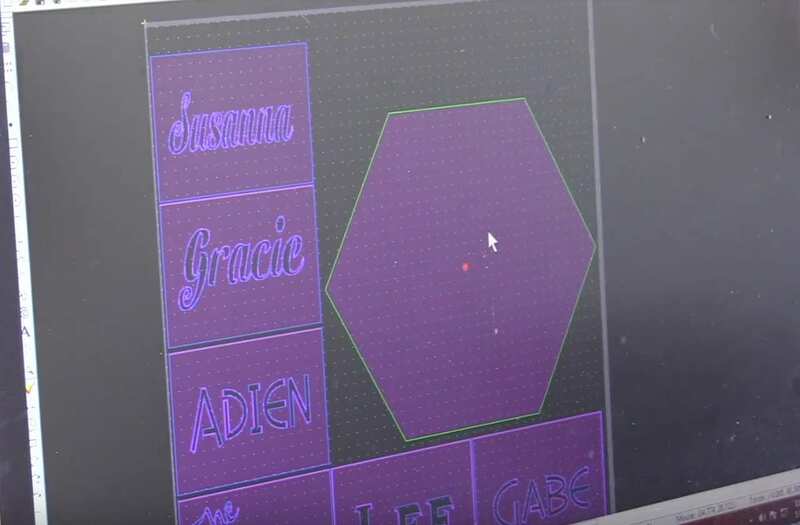 You can see how easy it is when he uses the array function to lay out a pattern of air holes in the bottom plate of the firepit project. 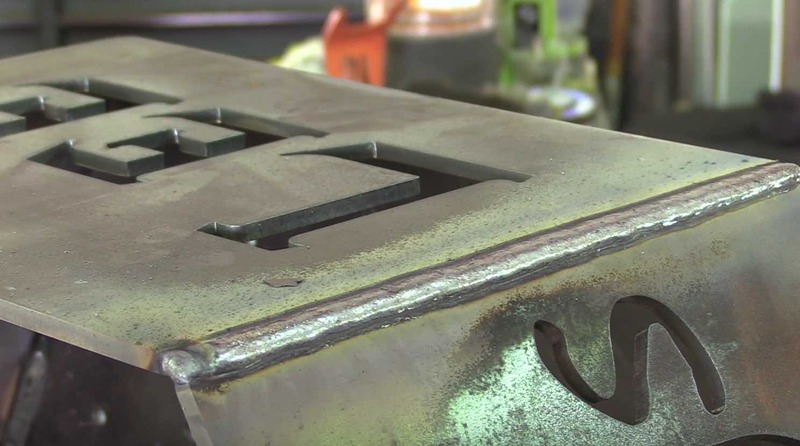 Dual shield flux core does not require super clean metal in order to get a good weld. But that doesnt mean you shouldnt clean the dross off of a freshly plasma cut part. Dross will cause weld defects and most of it was easily removed using a wire cup brush. the edges were then cleaned using a flap disc from Walter abrasives. Last year at Fabtech 2017, JD bought some Fireball tool Squares....line up blocks. These fireball tool squares worked great for lining up the outside corner joints for the firepit build. Since they are so wide, they stand up on their own and are easy to clamp to. 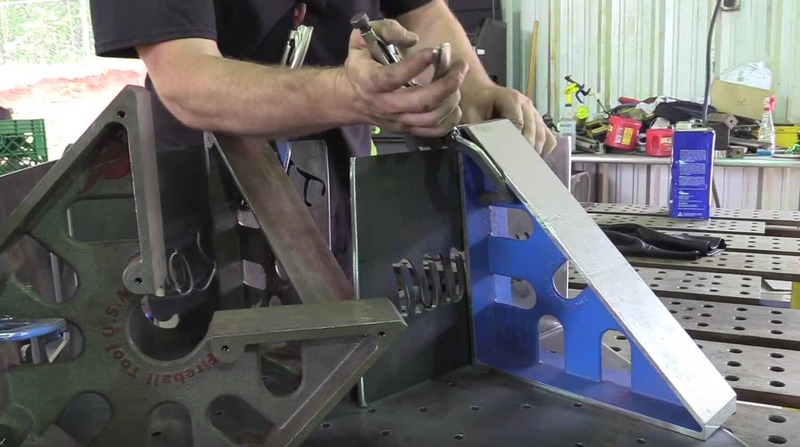 Perfect way to line up those outside corners for a tack weld. One thing to remember is that Dual shield flux core wires all run best on slightly different settings and companies like Esab and Lincoln have good resources that list voltage and wire speed settings that work best with each wire. One great resources is the Lincoln consumable catalog...it lists parameters for all flux core wires. JD usually uses lincoln outershield 71m wire but was trying out some less expensive Techniweld wire for this video. 300 inches per minute of wire speed. The techniweld seemed a bit more sensitive to worm tracks if voltage wasnt dialed in just right...but he got it dialed in quickly and we did not see any worm holes.